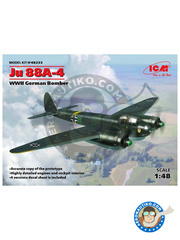 So, to the point: summer is for ... building scale models like maniacs!!! :D And we celebrate its imminent arrival with a 10% discount on any orders placed from today until Thursday June 15th at 23:59 CET, typing the promotional code SUMMER2017 during checkout. Hooray for the summer, and hooray for Aeronautiko!! Set of photo-etched parts for improving the exterior areas of the Handley Page Halifax B by Revell in 1/72 scale. 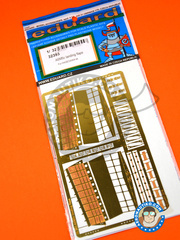 Photo-etched parts for detailing and improving the flaps on the Zeke in 1/32 scale by Hasegawa. 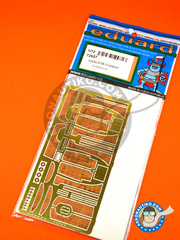 Photo-etched parts set for detailing and enhancing the interior and exterior parts of the Zeke in 1/32 scale by Hasegawa. 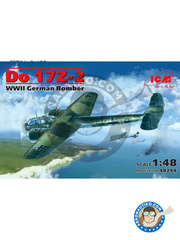 We love World War II airplanes out of the ordinary, such as the Do 17, a beautiful twin-engine machine that you can now build in 1/48 scale. 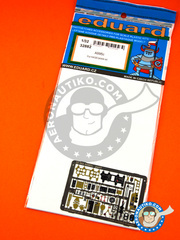 The kit includes the extensive as usual part listing that ICM carefully details on each kit. If you think the actual aircraft is mind blowing, this ICM model is... even more!!! 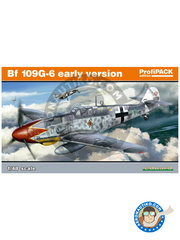 It includes two fully detailed and exploded engines, all weapons, and decorations as interesting as the classic German camouflage or a gorgeous decoration of the Russian front. Full color printer photo-etched parts to detail and enhance the cockpit interior of the Zeke. 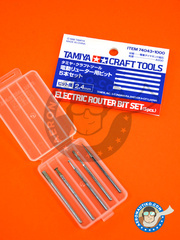 Router bit set in a very handy plastic box, including 5 bits with different shapes perfect for deburring and cleaning mold marks, either manually or with the electric mini drill. 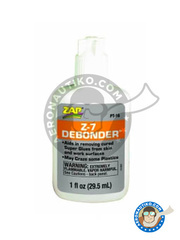 Stain remover for all types of cyanoacrylate adhesives (ZAP, Super glue 3 Loctite, ...) Includes 29.5ml of product. This product may affect some plastics. Apply with caution. 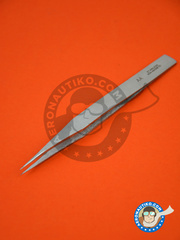 Precision tweezer for professional modelers, made of non-magnetizable stainless steel. 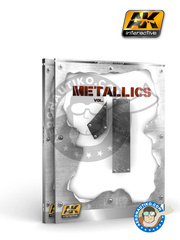 Really interesting for all types of modelers. 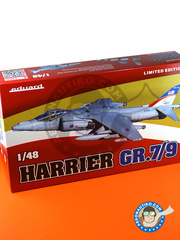 A very interesting Eduard edition of the Harrier GR.7/9 in 1/48 scale based on the sprues from the Hasegawa kit, together with new Cartograf printed decals for 6 different decorations, resin wheels and seats, full color photo-etched parts, paint masks, and assembly instructions. 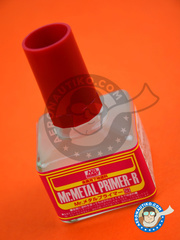 Liquid primer for brush application, or even with airbrush once previously diluted, specifically formulated to be used on metal parts, photo-etched parts, or white cast metal. It is served in a 40ml capacity bottles. 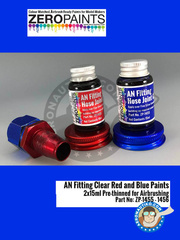 Set including red and blue colors for recreating the anodized looks and finishes so usual in all type of racing nuts and connectors. They are not supplied individually. 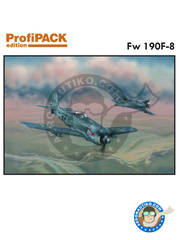 This model belongs to the Profipack edition series, and as usual, the plastic box includes the plastic kit as well as colored photo-etched parts for the cockpit, paint masks, and Cartograf printed decals for recreating up to five different decorations. 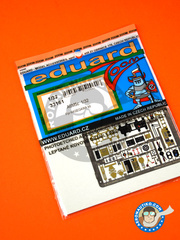 Eduard's ProfiPack series kit, including plastic sprues manufactured by Eduard, full color photo-etched parts, decals for 5 different versions, and paint masks. Metallic paint tone similar to steel, water-based and formulated with and superfine pigments for an even more realistic effect. 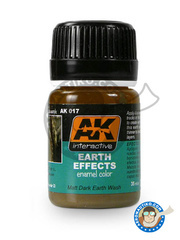 It can be applied with brush, with the finger, with cotton, or even diluted for airbrush use. Once dry, it can be polished to achieve even better finishes. Metallic paint tone similar to silver, water-based and formulated with and superfine pigments for an even more realistic effect. It can be applied with brush, with the finger, with cotton, or even diluted for airbrush use. Once dry, it can be polished to achieve even better finishes. 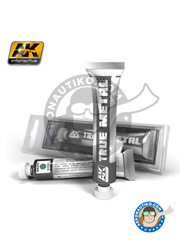 Metallic paint tone similar to iron, water-based and formulated with and superfine pigments for an even more realistic effect. It can be applied with brush, with the finger, with cotton, or even diluted for airbrush use. Once dry, it can be polished to achieve even better finishes. 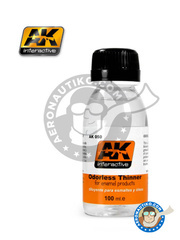 Low aggressiveness and odorless solvent formulated for diluting solvent based paints (enamel) and oil paints. Enamel based paint specifically formulated for recreating the natural effects of the dirt accumulating on the vehicles when running over dusty roads. 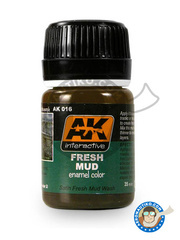 Enamel based paint specifically formulated for recreating wet mud effects, simulating the natural looks of the dirt accumulating on the vehicles when running over fresh muddy tracks. 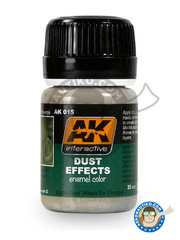 Enamel based paint specifically formulated for recreating dark sand effects, simulating the natural looks of the dirt accumulating on the vehicles when running over this kind of tracks. 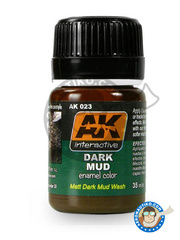 Enamel based paint specifically formulated for recreating dark mud effects, simulating the natural looks of the dirt accumulating on the vehicles when running over muddy tracks. 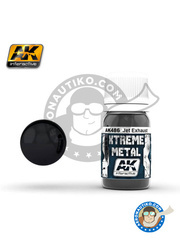 Paint for simulating the Jet Exhaust tone, belonging to the Xtreme metal range of AK interactive . It comes prethinned in 30ml bottles, ready for airbrush use.